Mr Javed Akhtar son of Mian Ghulam Rasool was born in 1963 at Multan. 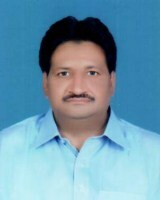 A businessman, who remained Member, Provincial Assembly of the Punjab in 2013-2018. He has been re-elected as MPA for second consecutive term in general elections 2018.